The Edgewood staff just returned this afternoon from the fall district conference of our denomination, and as usual, it was held at the beautiful Green Lake Conference Center. It’s a fine place to spend a day or two, and we all had a great time, finishing up with lunch at nearby Christianos, meaning some of the best pizza in Wisconsin. 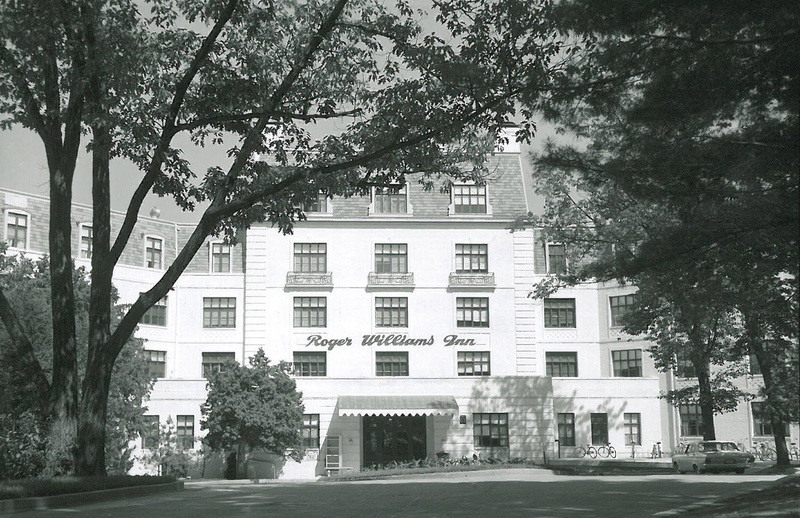 Now, anyone who has ever been to Green Lake or the aforementioned conference center knows about a historic building on the grounds known as the Roger Williams Inn. Originally named the Lawsonia Country Club Hotel, the Inn was constructed by the H.O. Stone Development Company of Chicago in 1930. Situated right on the water, almost all of its 81 guest rooms have a view of lovely Green Lake. And you may not know that today, a major project is going on to restore the exterior and renovate the interior of this historic building. It should be wonderful to behold when the project is finished. “Christianity is not just an addition to something you have already got…when people become Christians, it is not a little bit of improvement on what they were before. Glory to God, this is the new birth – and according to Jesus, it is the only way to see the Kingdom of God.